Many individuals will not seek the essential dental care they need to ensure long-lasting oral health due to deep-seated dental fear or anxiety. Unfortunately, avoiding even routine dental treatment can lead to serious oral health complications in the future, potentially leading to more time spent in the dental chair. At San Antonio Oral Surgery, our compassionate and well-respected oral surgeon, Jeffrey Wert, DDS understands that dental apprehension can stem from a multitude of different origins. When visiting our office for specialized care, we proudly help patients conquer this fear while maximizing comfort with our comprehensive sedation options. If you haven’t yet received the specialized dental care you need, contact our San Antonio oral surgeon to schedule your initial sedation consultation! 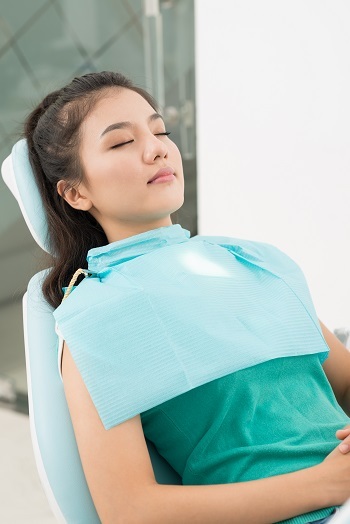 The goal of sedation dentistry is to provide a relaxing and anxiety-free experience while undergoing dental care treatment, from routine cleanings to more specialized care with dental implants. Often used for particularly nervous or fearful patients, sedation enables individuals who are fearful to finally receive the dental care they need while alleviating their dental phobias. What are Your Available Sedation Options? We provide safe and effective sedation solutions to ease our patients into a state of complete relaxation. Our sedation options eliminate pre-operative anxiety immediately before the beginning of their procedure while alleviating discomfort during the actual treatment. In addition to each solution being adapted to your needs, you can rest assured knowing you will feel more at ease after treatment as you will have little or no memory of the actual moment-to-moment dental procedure. Nitrous Oxide – otherwise known as "laughing gas,” is combined with oxygen by a mask over your nose. The gas will help you to relax. Our team controls the amount of sedation you receive, and the gas tends to wear off quickly once your procedure is complete. This is the only form of sedation where after treatment, you may be able to drive home. Oral Conscious Sedation- sedation may vary from minimal to moderate depending on the total dose given. For minimal sedation, you take a pill. The capsule is typically a member of the Valium family and is taken about an hour before the procedure. Although you are still awake, the medicine will make you drowsy. For moderate sedation, a larger dose may be given. This is the most commonly associated type of anesthesia with sedation dentistry. Some individuals get tired enough during the procedure to fall asleep. However, they can usually be awakened with a gentle shake. IV Sedation- involves receiving the sedative through a vein, so it works much faster. This method allows us to adjust the sedation level continuously. Whatever type of sedation you receive, you will typically also need a local anesthetic, or numbing medication, at the site where our oral surgeon is performing procedures in the mouth to relieve pain if the treatment causes any discomfort. Though most dentists may have minimal sedation, moderate sedation can be given by an increasing number of dental care professionals. However, more complex techniques can only be administered by a small percentage of dentists who have completed extensive training in deep sedation and general anesthesia. Typically, these dentists are oral and maxillofacial surgeons and anesthesiologists. Some dentists use a dentist who is specially trained to give children and adults all levels of sedation and anesthesia. Your overall health, as well as any physical and/or mental conditions that you may be struggling with at the time, is important for our team to know in order for us to administer the appropriate types of sedation safely. Some conditions such as heart disease, hypertension, diabetes, and respiratory diseases should all be addressed before any administration of sedation. What Can I Expect When Receiving My Sedation? If your needs warrant oral conscious sedation accompanied by nitrous oxide, the process is simple. Before any procedure, patients receive oral medication first. They are instructed to take medicine at least one hour before their appointment and should receive assistance from a trusted friend or family member to get to and from our practice. Once patients arrive at our office, they already feel relaxed and ready for their procedure from the oral medication. Those who need additional help to alleviate their anxiety can receive nitrous oxide, also known as laughing gas. Nitrous oxide is an inhalant administered through a mask and provides a euphoric effect that typically calms patients. While patients are still aware of the procedure and can respond during treatment, they have no recollection of their procedure. This helps separate dental treatment from daily life, helping people cope with dental-related anxiety. After treatment, patients can expect minimal procedural memory. We advise them to have a reliable ride home after treatment as those undergoing sedation-assisted services are unable to operate a vehicle immediately. Once at home, you are expected to relax and take it easy for the rest of the day. Most patients report taking a nap when they arrive home and having a light meal afterward. There is always some level of risk with sedation dentistry. However, when given by our experienced team, it is safe. Still, we always highly-encourage to talk with their doctor before having sedation, especially those who are obese or who have obstructive sleep apnea. Before the procedure, your dentist should go over your full medical history. You should ask which sedative is the most appropriate for your age and health. Find out how much training the dentist has and how many sedation procedures they have performed. You should be provided with a form detailing the risks. Your vital signs should always be monitored during your procedure. Contact San Antonia Oral Surgery for More Information! Dr. Jeffrey Wert provides gentle dentistry, offering personalized comfort tailored to each patient’s needs. Schedule a consultation with our oral surgeon and ask about sedation-assisted services to help you get the essential dental care you need to maintain a healthy and functioning smile. Call our office today!